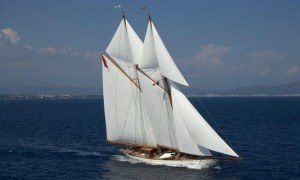 To step aboard a classic yacht is to step back into a time when designers drew lines based on beauty and form, and when aesthetics were valued more highly than computerised solutions to modern day requirements of functionality and cost. 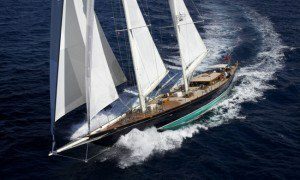 To arrive in port aboard a classic yacht is to know that all heads are turning to watch in quiet appreciation as an object of pure beauty glides past – guided by an expertly drilled crew with a passion for hemp, canvas, teak and brass. Join the crew in perfectly synchronised sail handling drills, climb out along huge wave piercing bowsprits, or simply enjoy the feel of 100 year old teak decks beneath your bare feet and know that you are experiencing a part of living history that is at once thrilling, beautiful and quite unique. If you are interested in chartering one of these beautiful yachts, please contact us directly so that we can send you further information, brochures, videos and other media that may not always be available publicly.